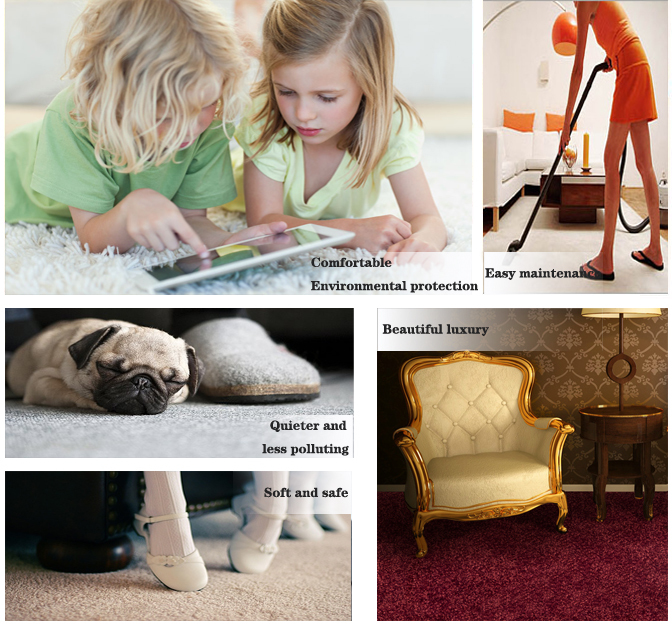 Home: Bedroom carpet, sitting room carpet, living room carpet, guestroom carpet, dinning room carpet, fitting room carpet, kids room carpet. Material: Wool carpet, woolen carpet, wool blend carpet, nylon carpet, polyester carpet, polypropylene carpet. Construction: Loop pile carpet, high low loop pile carpet, cut pile carpet. 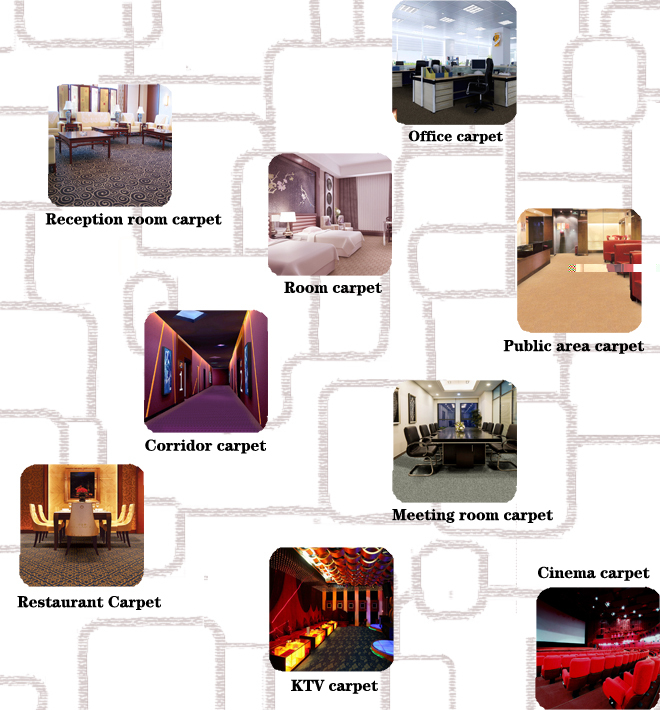 Functional: Broadloom carpet, wall to wall carpet, floor carpet, flooring carpet, floral carpet, carpet tile, tile carpet, patch carpet, flame retardant carpet, fire proof carpet, fire retardant, flame resistent carpet, fire resistent carpet, non-flammable carpet, water proof carpet, dust removal carpet.